The Awesome Level (tm) around here needs to be increased a bit. Kicking it up to the power of six should suffice for now. I only hope we're ready for it! The Fisher-Price Little People bulldog. The dog that came with the farm was just a regular, 4-legged dog. 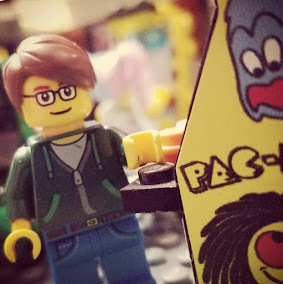 This guy was made like the rest of the Little People, implying he was an accepted part of the community. Also, that meant he could drive, and that's just cool. Pictures of Marilyn Monroe that are more Norma Jean Baker than Marilyn. It's fun to get a glimpse of the personality, not the product. 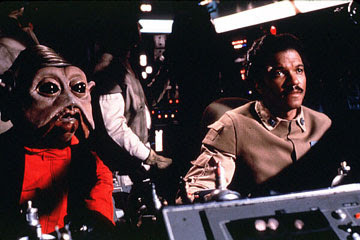 Nien Numb and Lando... the best Star Wars-based buddy comedy that ever could have been, but sadly never was. Where's their spin-off comic book and/or novel series, George? French toast, nature's most perfect breakfast food. 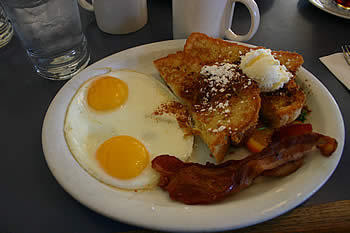 Especially when accompanied by bacon, which Sarah Vowell wisely called "the food of joy." 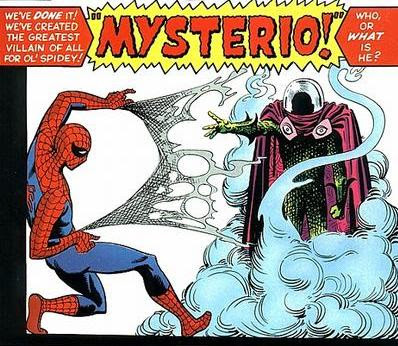 Mysterio - the greatest of all second-tier Spider-Man villains. Gotta love that costume... pure Ditko! 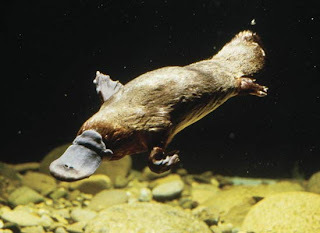 The platypus - the best use of leftover pieces in the history of the universe, and the cornerstone of my theory that God is an exceptionally creative 8 year old. Agreed on all counts, especially the Norma Jean pic ROWRR! No buddy story, but there are a couple of Lando novels that take place before he lost the Millenium Falcon. I enjoyed them when I was a boy.